Gold plating on silver jewelry is not the same as gold polish on silver. Plating is a chemical reaction which allows gold to adhere to silver. 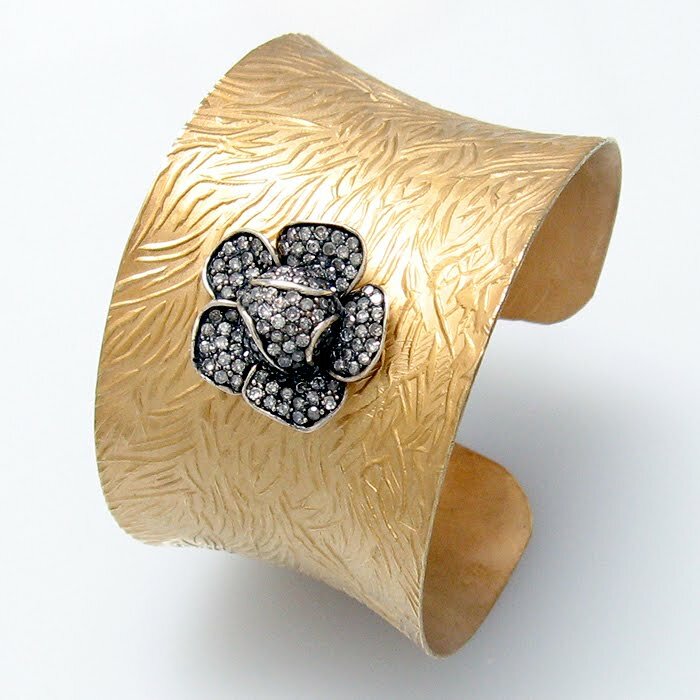 Gold polish is like a paint on your silver jewelry which will wear off much faster. FDA requires a layer of at least 3 microns thickness on a metal surface to be called plated while polishing can be as negligible as 0.01 microns of gold. Gold polish has a much shorter life and can wear off more easily than gold plating can. 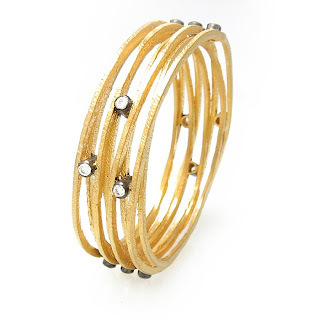 Technically, gold plating can survive a very very long time if the jewelry is worn with basic caution. Before buying any silver jewelry with gold plating, you need to be certain that it is gold plated and not gold polished because you will be paying for your jewelry accordingly and you should be prepared for the maintenance that may be required from the same. 2. What is the thickness of Gold Plating? Thickness of gold plating directly impacts the quality, look and longevity of any gold plated silver jewelry piece. The greater the thickness of gold plating, the better the gold plated silver jewelry will look. Not only will the propensity of plating to wear off become lower, but also the plating is more likely to survive any impacts or unfortunate mishandling of the jewelry piece. One of the disadvantages of greater thickness is that it increases the cost of the gold plated silver jewelry piece because gold is much more expensive than silver. Also if the bonding of the two metal surfaces is not very fast, then in some events, the plating may chip off from delicate positions of the jewel. 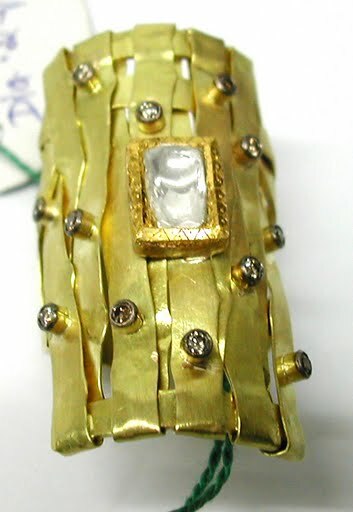 When buying gold plated silver jewelry, you should immediately check for chips, cut or any rough spots on the piece. This is normally an indicator of either low quality of plating or possibility of gold plating done on a incompatible design. Next section talks about this. The one other reason for chipping off of gold from plated jewelry is when the chemical bond between the two surfaces is not complete. In the best cases, the gold should bond molecule to molecule with the silver alloy which is possible by using fluoride based chemical reactors as the bonding adhesive. 4. Is Gold plating compatible with the design that you are choosing? Not all silver jewelry is a good candidate for gold plating. The design of the jewelry directly affects whether gold plating will look good on that silver piece and sometimes even whether it will last long enough. There is no straightforward method to evaluate whether a design is compatible with gold plating but it comes with experience. You should ask opinion of your friends and jewelers to understand more about design compatibility of gold plating on silver jewelry. 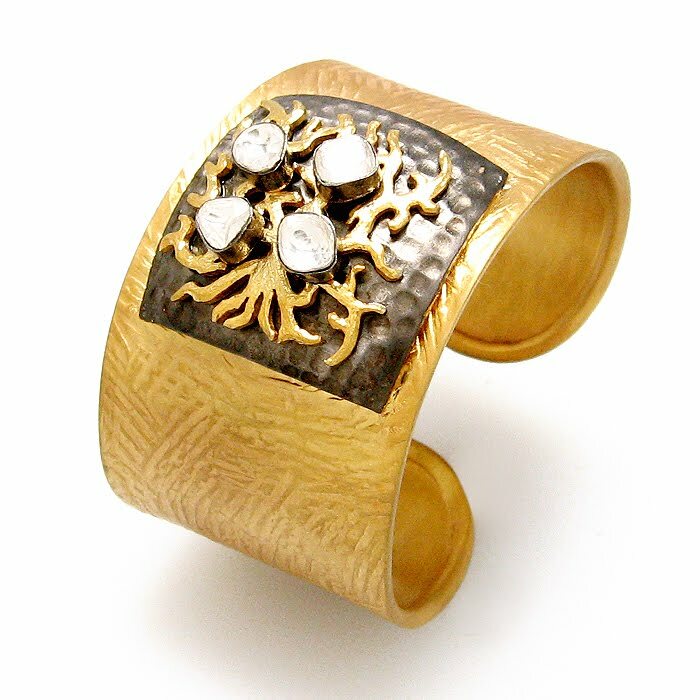 There are many circumstances in which Gold plating will wear off from over silver. Gold adheres very well to silver but it will eventually wear off. The composition of gold and other alloys used in plating have a direct impact on the quality and longevity of plating. The chemicals used for bonding the gold with Silver also affects its longevity. How you wear jewelry and care for it is one of the most important factors that determine the longevity of gold plating on silver jewelry. Extreme temperature change can in some circumstances affect plating. Acidic baths, even in mild forms which is possible during jewelry cleaning or repair can definitely affect the plating on your jewelry. Always inform your jewelry repair person of plating when required. You should take good care while wearing and maintaining gold plated jewelry. This doesn't mean that you cannot wear gold plated silver jewelry in your normal course of the day (otherwise what would be the point of owning such a piece), but a little care and caution goes a long way. Really informative post. I wear many designs of gold plated chains but have never knew the details that you have stated. Thanks. Hey! I’m at work surfing around your blog. Just wanted to say I love reading through your blog and look forward to all your posts! Keep up the fantastic work! Very informative! I just wish you would say if it was a problem to wash our hands with anti-bacterial soap, without taking a solid sterling silver gold plated ring off, that I purchased from the Bradford exchange. Hope to hear from you. Thanks! You can very well 'wash' your sterling silver, gold plated ring with anti bacterial soap however, it is the 'rubbing' of fabric against the material which causes the maximum damage. Which simply means that while the actual process of soapy water will not wear off regular well plated metal, you need to be careful not to 'rub off' the plating from your ring. rigant jewelry or azora or neoglory for that matter are class apart gold plated jewels which get hit as people make fake jewelry and polish them and sell. Will Silver Jewelry Look Good on Me?